Belwood Lost Cat – Is This Yours? 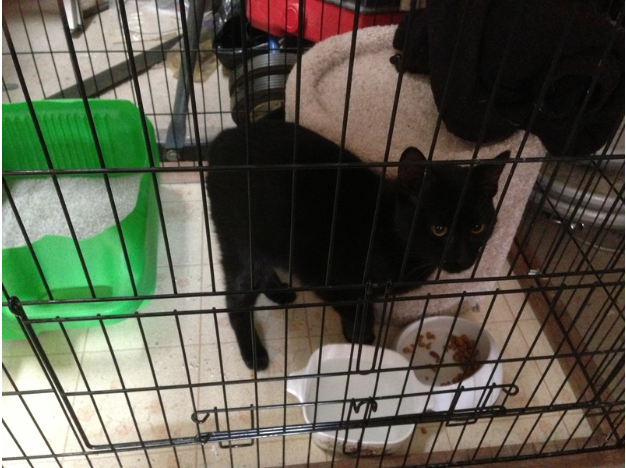 A beautiful black kitten or young cat was found high in a tree at Belridge and Harwood Roads on December 31st. He was reluctant to come down, but several neighbors did try to lure him over a couple of days. Thanks to the persistence of two kindly neighbors, he has been rescued, fed and warmed up. One of the residents, Byron, brought the Belwood cat to the Humane Society to check for chipping, but no luck. Is this friendly feline yours, or do you know where he belongs? If so, please call Byron at 408-267-1733.